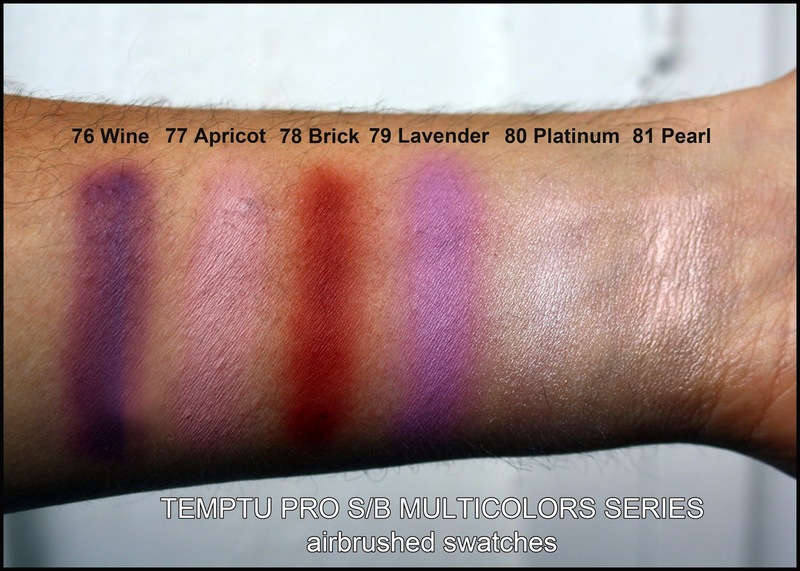 The Airbrush Makeup Guru: Drag Airbrush Makeup video tutorial with Temptu Pro Multicolors! 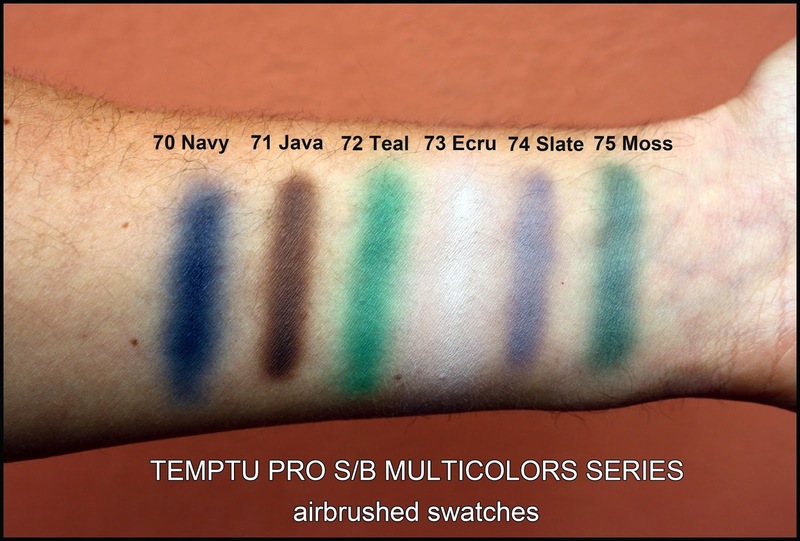 Drag Airbrush Makeup video tutorial with Temptu Pro Multicolors! Is silicone based airbrush makeup really viable for eyes? A lot of makeup artists love airbrushing foundation, but quite a few still have doubts when it comes to eyeshadows, especially with silicone based makeup. Maybe they are just too fond of their brushes, or maybe they haven't experimented at length with the possibilities that silicone colours can mean to eye makeup. More realistically, they may be wary of the challenges that the very mobile and often uneven skin on eye area poses, especially when using a medium that requires a relatively long drying time. When Temptu Pro came out with a collection of new S/B shades called Multicolors I couldn't wait to try them and confront those very doubts for myself. As always I purchased my set from wonderful CRC Makeup, who ship worldwide. Drag makeup has always been the perfect context in which to test the possibilities offered by any makeup line, stretching them both creatively and technically. I was inspired by the makeup of LaLa McCallan, which is always airbrushed in its entirety (with water based colours) safe for an undercoat of creme products used to create an even canvas for airbrushing on top. I decided to pursue a very classic (and hopefully classy!) at this stage, leaving more experimental looks for the next round. The results of the experiment are in this video, of which I am also proud as it is, as far as I know, the first entirely airbrushed drag makeup tutorial ever. The colours used for the eyes are all from the Multi Colors set. The set consists of 12 wonderful shades, which you can see in the airbrushed swatches posted below. The colours are of course extremely pigmented and vibrant, and like the rest of Temptu's S/B line the coverage is fantastic. There are ten matte shades and two shimmers, Pearl and Platinum, created especially for this set and not included in the standard Shimmers Set they offer. Application, as you can see in the video, is extremely smooth. Drying the colours with air only after application is essential, as is a light dusting of clear setting powder. An extra step that I took off camera and totally on a whim was a couple of spritzes of Makeup Forever's Mist & Fix setting spray. After taking these precautions, the makeup did not move, crease, or smudge for the entire time of filming and the extensive photo session that followed. It was still perfect when our model went to take the makeup off. For giggles, I told him to soak his face with water and dry it to see what would happen. Nothing moved in the least. Silicone eye makeup offers perfect and super fast blending possibilities, and when properly set is indestructible. I hope this video will inspire more makeup artists to experiment with it, as it is definitely worth it. The whole tutorial was shot using Temptu's starter kit with the 2.0 compressor and the brand new SP 40 airbrush. We also used AirPod for blush and final highlights. We will post an in depth review of the system very soon. You can also find a review of the whole S/B line here and here. stupendi questi colori soprattutto la seconda foto! this trick and beautiful .. congratulations .. I really love the makeup used for this amazing drag queen!